If you thought the new cards within the Hearthstone: Curse of Naxxramas expansion were overwhelming, think again. 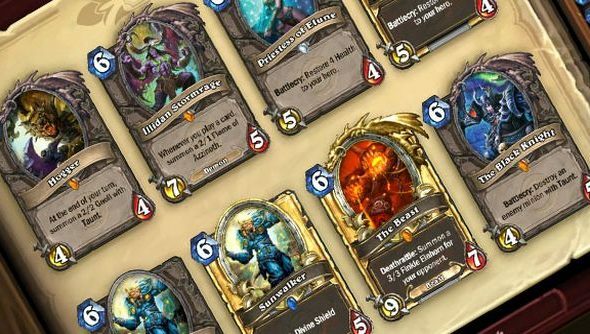 Speaking on Value Town, a podcast about everything Hearthstone, senior designer Mike Donais revealed some interesting information about the next expansion. Most notably was that it will include “around 100 cards”, and they’ll be gathered mainly via booster packs. You can hear more in the Value Town podcast below. Sadly it’s the last one in the series.